Is 'Pacific Rim 2' Really A Good Idea? We look at the critical and box-office success of the first movie and ask- is Guillermo Del Toro doing the right thing? With a slew of epic monster movies hitting cinema screens in recent years it seems there is a genuine renaissance in the sub-genre of disaster movie that bestowed upon the world the likes of Godzilla and King Kong. Pacific Rim, drawn from the imagination of Guillermo Del Toro, is a thoroughly contemporary take on the monster movie blueprint- awash with a myriad of spectacular CGI that resembled nothing short of a visual banquet. Del Toro's Pacific Rim was a huge international hit but underperformed in the US. The epic nature of the film posited a grand departure for Del Toro, who made his name through taut and often fantastical horror flicks including the Oscar-winning Pan’s Labyrinth. Del Toro has recently revealed that a second film was being developed even before the release of the first, yet it has still to be officially given the go ahead by the film’s developers, Legendary Pictures. As such, it seems that Pacific Rim is heading in the direction of most blockbuster films that have hit the cinema as of late and being dragged out into a franchise. 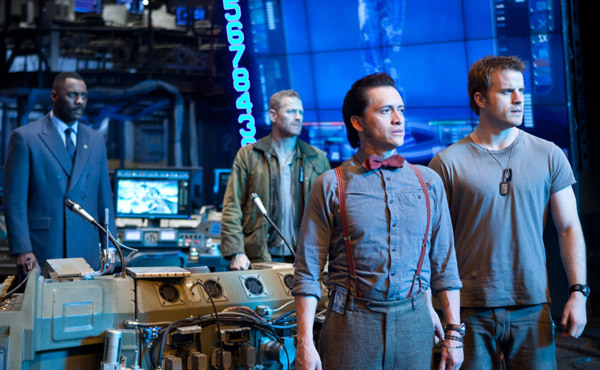 Continue reading: Is 'Pacific Rim 2' Really A Good Idea?